The Black Death killed his father and brothers , making Oswald de Lacy Lord of Somershill Manor. It also killed many of his villagers, leaving fewer people to do more work. So Oswald tries to use logic and patience to manage a struggling estate, a socially ambitious mother, an overbearing sister and a mutinous workforce. Then a baby is found impaled on a thorn bush and people say they have seen a huge creature in the skies. And now there is no room for common sense, no time for patience. If Oswald is to survive, he must find the truth behind a series of ever more brutal events. 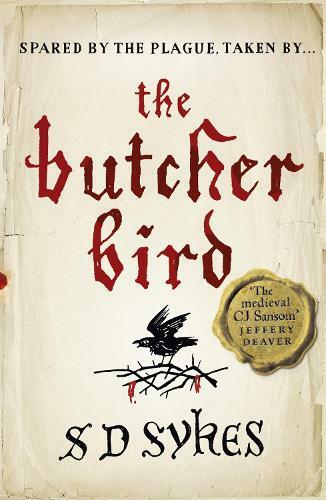 From the plague-ruined villages of Kent to the luxurious bedchambers of London, it is a journey full of danger, darkness and shocking revelations.